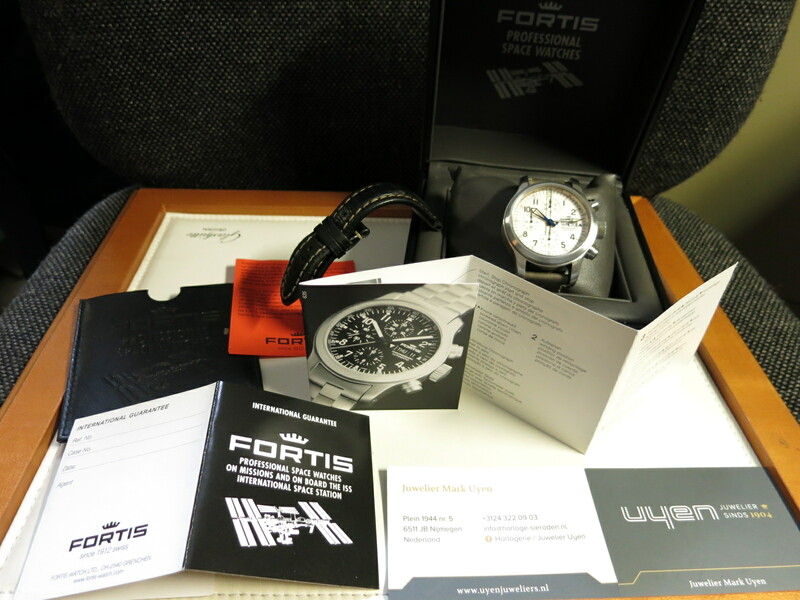 FORTIS "B42 Flieger Chronograph" ref. nr. 635.10.141.10 Steel brushed 42mm. case with sapphire glass. 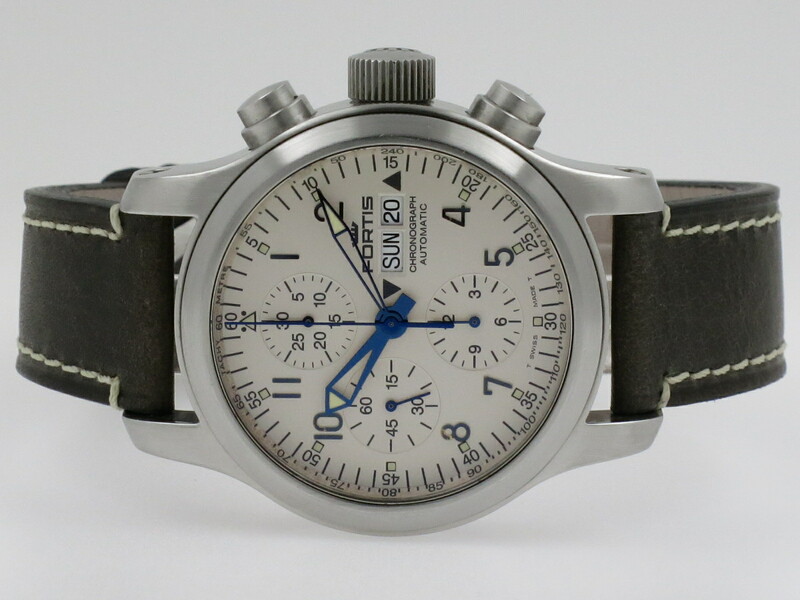 Silber colored dial with blued hands. 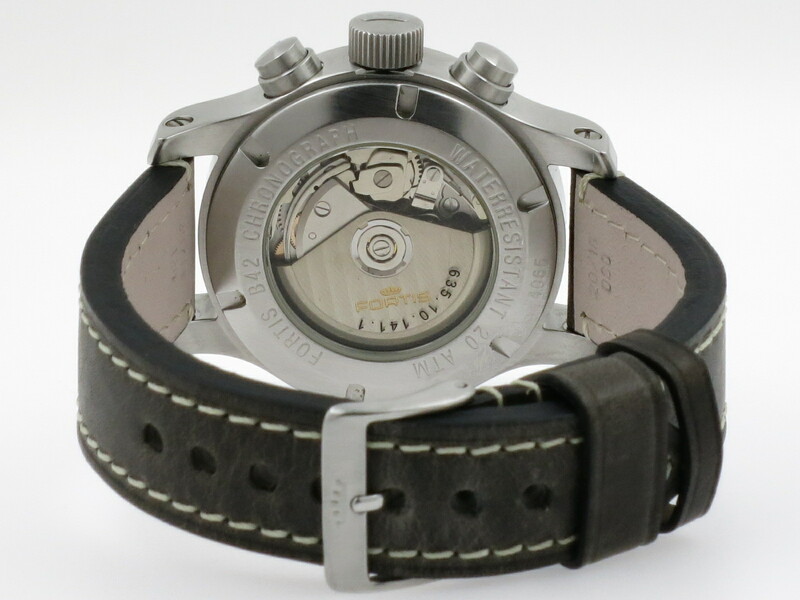 Automatic movement, caliber Valjoux 7750 with time, day/date and chronograph. 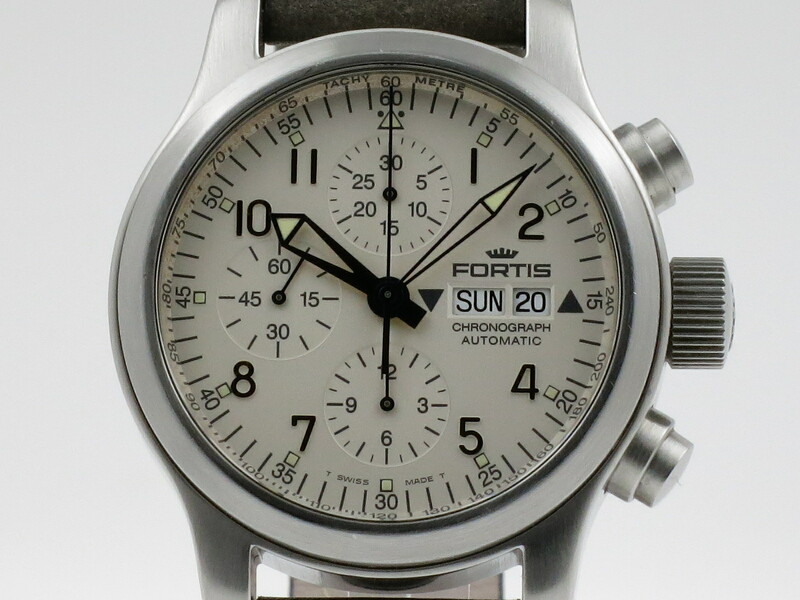 Grey leather Vintage look strap with Fortis buckle. Incl. original box , manual and blanco papers!